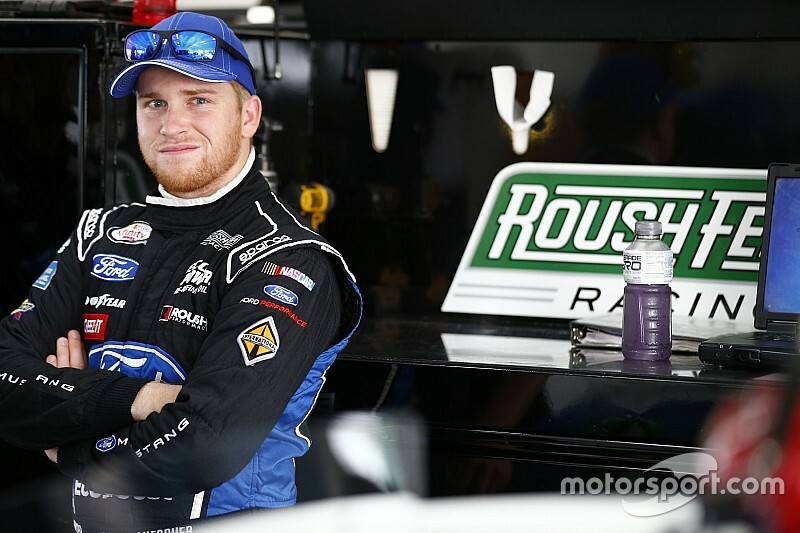 NASCAR XFINITY Series champion Chris Buescher will run for Sprint Cup rookie-of-the-year honors in the No. 34 Front Row Motorsports Ford in 2016. 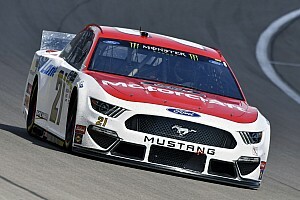 Buescher, 23, made his Cup debut with the team at Auto Club Speedway in March after Brett Moffitt received a last minute call from Michael Waltrip Racing to drive the No. 55 Toyota. Buescher finished 20th. The Prosper, Texas native, who is on loan to Front Row Motorsports, ran five additional Cup races with the team over the course of the season while campaigning for the XFINITY Series title with Roush Fenway Racing. “We are thrilled to announce this alliance,” said Roush Fenway President Steve Newmark in a release from the team. “Not only will it foster increased communication within the Ford camp, it will allow our newest champion Chris Buescher to continue to hone his skills with substantial seat time behind the wheel in the Sprint Cup Series in top-grade equipment. “We look forward to working more closely with Front Row on many levels and we believe it is a relationship that will be mutually beneficial for both parties. Buescher scored two wins, 11 top fives and 20 top-10 finishes in 33 NXS starts. He posted an average finish of 8.4 and led 263 laps during his 2015 run. Buescher also won the 2012 ARCA title while working in the shop for Jack Roush. Scott Graves, who led Buescher to the 2015 NXS championship, is expected to continue guiding the driver through his first season in Cup. Graves was promoted to crew chief in 2012 when he worked with Ricky Stenhouse Jr. in Cup and a variety of drivers in NXS. Graves also oversaw Stenhouse’s rookie season (2013) in Cup prior to joining Buescher for his first title run in 2014. The pair finished seventh in the standings despite missing last year's season opener at Daytona. "Chris was on his game this year," team owner Jack Roush said after the No. 60 team wrapped up the title at Homestead-Miami Speedway. 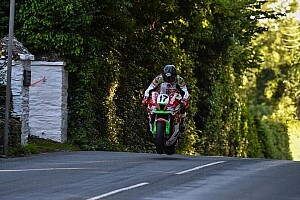 "Scott, the crew chief, was on his game. They managed not to ‑‑ they won two races and managed not to give up points on days when they weren't their best, and that is what got us to this point. Both Buescher and Graves will remain under contract to Roush Fenway Racing, who in turn will enjoy a technical alliance with Front Row Motorsports. 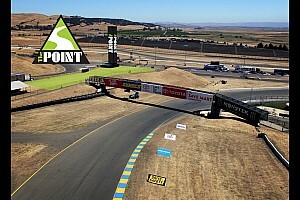 Ford Performance has also sweetened the pot for the Bob Jenkins-owned team. 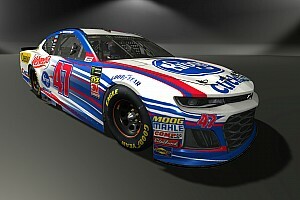 With the new rules package for the 2016 Sprint Cup cars, FRM GM Jerry Freeze told Motorsport.com last month he was researching offers that would bring the team up to speed. Jenkins fielded three Fords in 2015 with David Gilliland and Cole Whitt competing full-time. Moffitt, who won Sprint Cup rookie honors driving the balance of the No. 34 Ford this season, told Motorsport.com at Las Vegas last Thursday his 2016 plans were uncertain at this time.